Amazon has announced that their Black Friday sale will begin this Friday, November 21, and will last eight days—all the way through Black Friday! There will be new Lightning Deals added as often as every ten minutes, and there will be three Deals of the Day both on Thanksgiving Day and Black Friday. Amazon’s Black Friday sale begins Friday, November 21, 2014 at midnight! Head over to BlackFriday.fm for all the details. The Joann’s Fabrics Black Friday Ad has been posted! 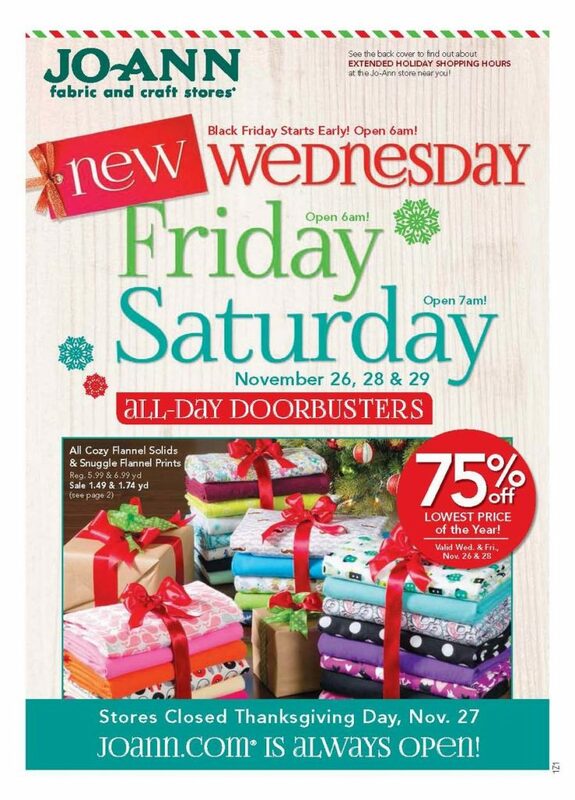 Joann’s will open at 6 a.m. on Wednesday, November 26, and Friday, November 28 with all-day doorbusters on thousands of products. 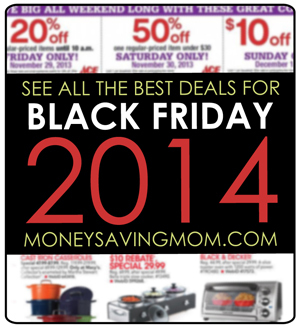 Check out all the latest Black Friday Ads at BlackFriday.fm. 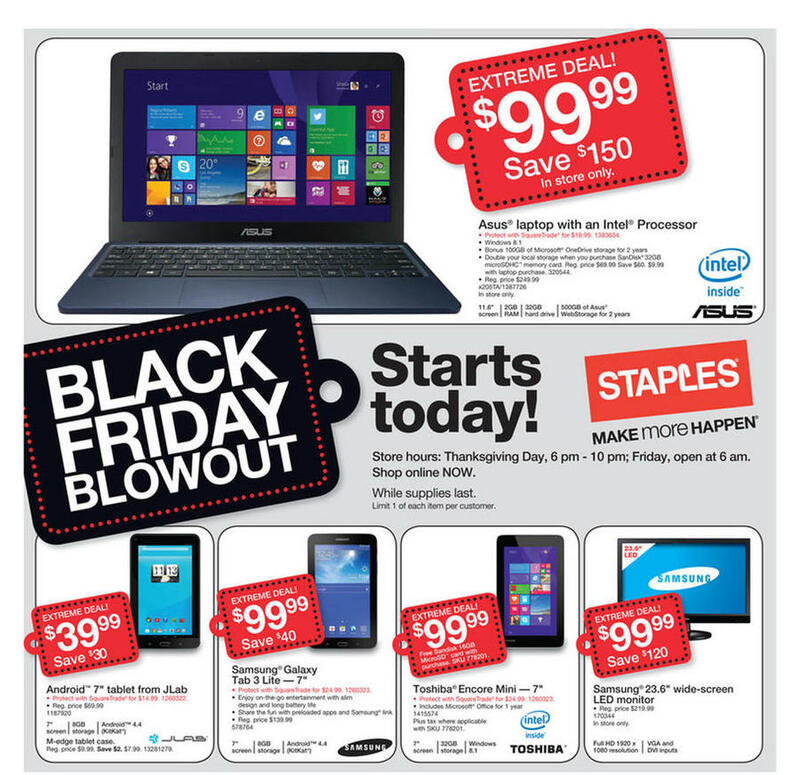 The Staples Black Friday Ad has been leaked! Staples will open on Thanksgiving Day at 6 p.m. The Cabela’s Black Friday Ad. Thanks to For the Mommas for sharing! 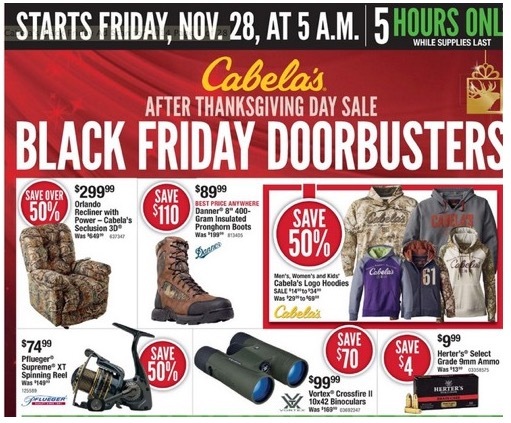 Cabela’s will open on Black Friday at 5 a.m.
You can see all the latest Black Friday Ads here.